Water leakage is the number one factor that leads to moisture damaged insulation, corrosion and weakening of metal decks and building structure even structural collapse, and the growth of mold. Leaks may be caused by traffic, weather, or poor installation. 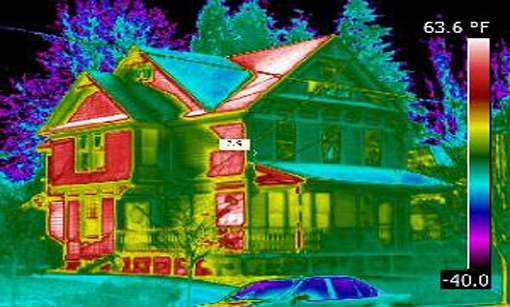 Since water has a higher thermal mass than many roofing materials, it retains heat longer and can be easily detected with a thermal imaging system. 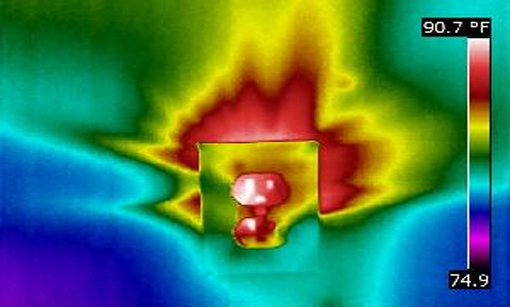 Using thermal Imaging, professional thermographers can quickly locate and mark all the areas of wet substrate materials during an infrared survey and repair those areas before any further moisture damage occurs. Thermographic diagnoses of building components has been done for over 25 years. This proven technology means saving time and money for roofing contrators, maintenance personel and appreciative building owners!